So, if you have read my blog posts before you will know I'm a huge fan of coupons and sales. 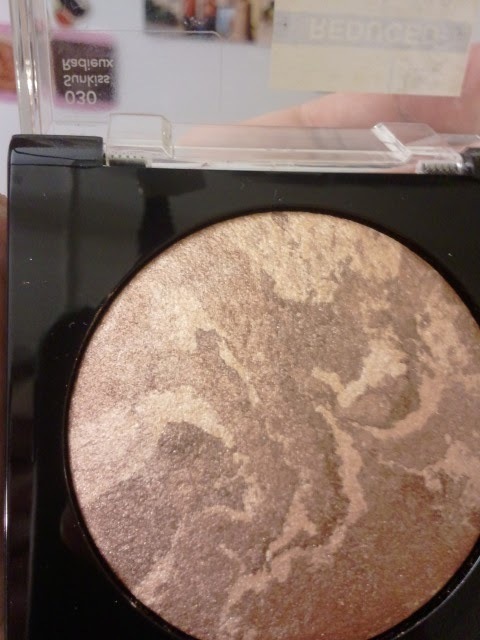 Today I found the cheapest makeup I've ever found. And besides 1 product, I love everything I got. 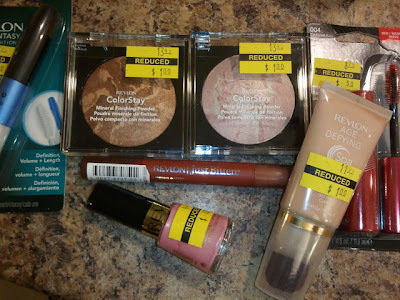 I will start out with some bargain shopping tips and then go into my haul and review. I found these deals at Kmart today. A lot of times at Kmart and Walgreens there will be a little bin at one of the end caps or hidden on a bottom shelf with clearance and sales tags. It is often very easy to miss. I usually circle the entire cosmetics area a few times like a vulture. I was lucky to get to Kmart today as the sales clerk was marking down items. Another great tip is to befriend these people and being nice goes a long way. They will often fill you in on coupons, sale days, etc. This woman was kind enough to show me all the cosmetics she was about to mark down and what each would be in case I wanted any. She also informed me that Kmart has double coupons on Saturdays and Wednesdays. 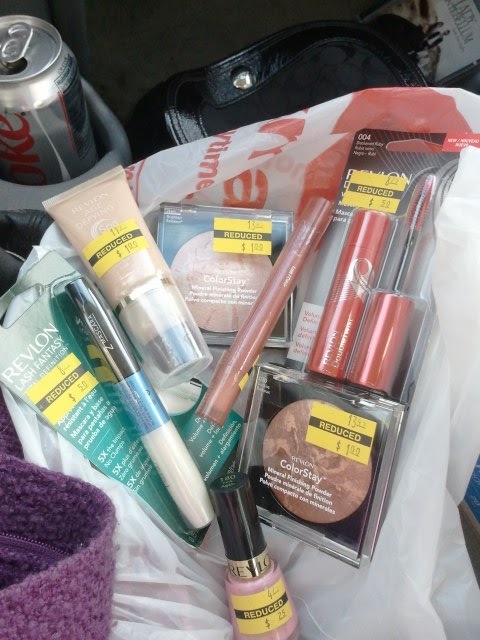 Right now they have Rimmel for buy one get one 50% off and Covergirl for buy one get one 50% off. There were coupons in this Sunday's paper for $2.50 off 2 Covergirl items and a $1 coupon off of one item. So, I think I will go back on Saturday and that means I would get at least $6 off plus buy one get one 50%. Kmart, Target, and Walgreens also have in store coupons you can find online or in the store when you walk in. Be sure to sign up for Kmart's free membership card to get the best deals and rewards. Another tip is to to go stores that have cosmetic aisles, but may not be a place you would think to shop for them right away. I like to go to Kmart and Shopko. It depends on your town, but we have some dusty stores that aren't frequented that much and so I can find amazing clearance deals there. Revlon Nail Polish in 180 Pink Again. Original price $4.79. Paid .25 CENTS!! 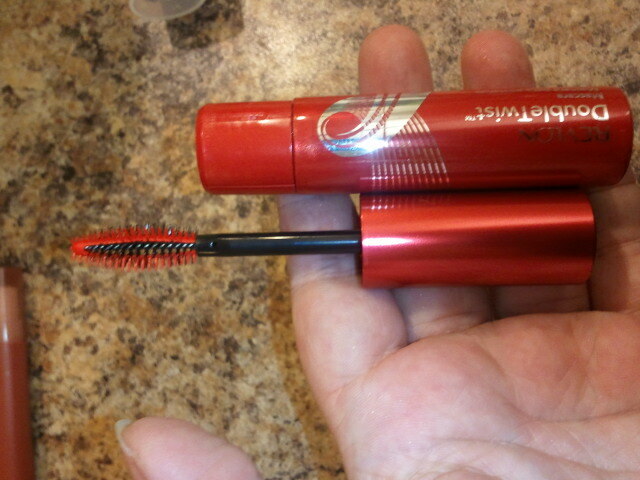 Revlon Double Twist Mascara in Blackened Ruby. Original price 8.79. Paid .50 cents! Revlon Lash Fantasy total Definition 122 Black. Original Price $8.99. Paid .50 cents! Revlon Just Bitten lip balm + stain in Lust. Original price $8.99. Paid .50 cents. Now is a GREAT time to purchase clearance items with the new Spring lines coming out. You will see a lot of the fall/winter lines on sale to make way for new products. Make sure to check out my Spring 2012 Drugstore collection blog HERE. I just updated it with NYC, Almay and Physician's formula products and more coupon information. I was actually a little worried about these because they are baked products and looked a little bit dryer than some other baked products I've used. However, when applied these give a very nice light finish and color. 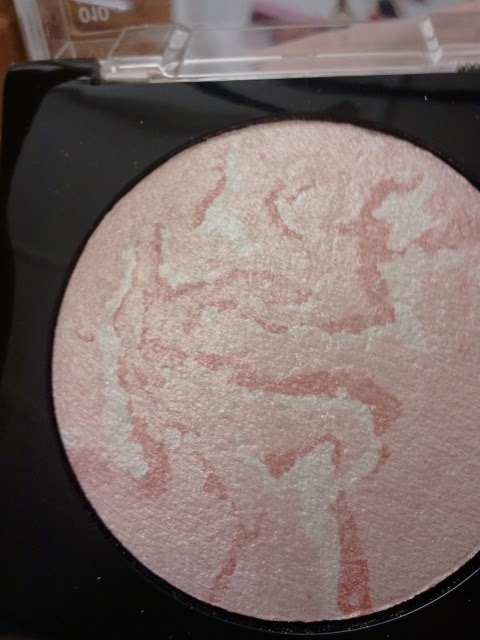 I actually applied the brighten one with a flat kabuki brush and swirled it all over my face, then using a little bit fluffier kabuki brush, I applied the sun kiss around my cheeks. 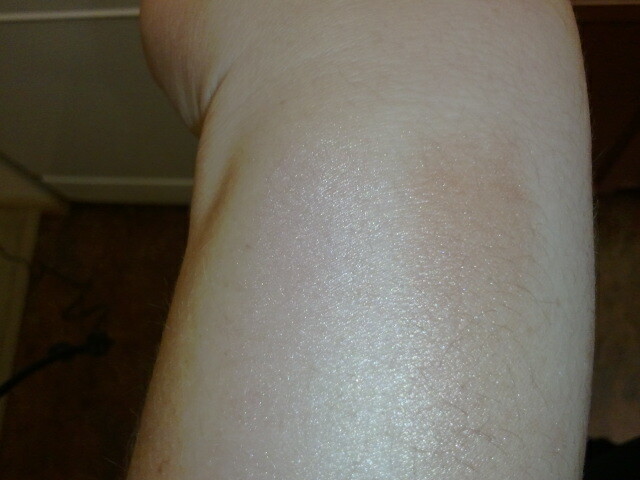 The end result was a very pretty glow. I am extremely happy with these. Revlon double twist. This mascara was pretty good. I like the brush. It allows for a clump free look. 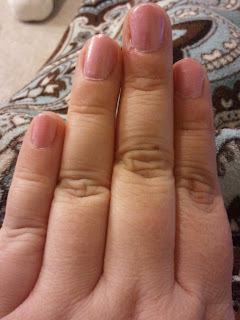 Revlon nail polish (one of my fave drugstore polish brands) in Pink Again, a very soft pretty pink. I made sure to check the polish before I bought it to make sure it wasn't on sale because it was old, but it was great, no clumpiness at all. My Revlon polishes usually last a long time. 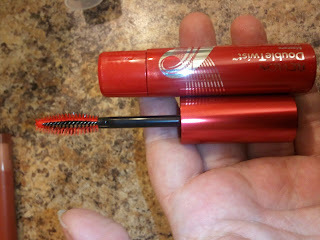 I haven't used the Revlon lash fantasy mascara yet, although I think I have bought this in the past because it looks very familiar, ha! I've actually stopped putting Vaseline on my eyelashes nightly just because I've forgotten, and they've shrunk. I will be going back to applying this nightly for lusher fuller longer lashes! I was actually very impressed with the Revlon Age Defining Spa Foundation. This comes with a brush that is attached to the bottom and you twist the cap for the product to come out through the brush. I found the brush to be soft and actually worked for a pretty great application. I blended it in with my fingers then. My skin looked and felt good after using this. For primer, I have been using L'oreal Studio Secrets Face Primer. I purchased this months ago and never really used it since I have more primers than anyone could ever need. But since this claims to be the #1 selling primer, I wanted to start using it for reviews. So far, I'm very happy. This goes on with a very smooth silky feeling and leaves skin looking brighter and ready for foundation or powder application. I will update my review after I have used this longer. I've been really wanting to try the Just Bitten lip stains, although this color didn't look the best on me. It was a little too brown. But for .50 cents I will at least get an idea if I like these and want to purchase a better color. The color was okay on me, just not great. Have you found any great clearance deals lately? Be sure to comment! Awesome deals!! Good tips for getting a great deal. I'm impressed by your haul!